I've been working on some Vim keycaps, as seen here, and I am selling the extras to help fund the experiment. I have the SP caps lock replacements (1.75u) you may have seen on SP's store in the past, but I also had some custom HJKL keys made in the style of the ADM-3A terminal, which is the basis of the Vim HJKL navigation. Everything is available in SA and DSA, and can be purchased at vimcaps.com. The HJKL keys are $10, the Caps Lock replacement is $6, and both together is $15. Very cool, probably in for a set once I decide what I'll put them on. Don't suppose there is any chance of a DCS run? I would like to have these in every profile, but I'm not sure I will make my money back on this first trial run. If I can make it work, I will add DCS, OEM, and Cherry profile. I really like these caps, that I tried the hjkl for arrows, for a week, with no luck unfortunately, I have to kept the IJKL. They look great ordered a few sets. I am the complete opposite, because I can't use the arrows any other way now than Vim has trained my brain! I would like to repent from my sin (not being a proficient Vim user) and be converted, though. Then I will pray for your Vim soul (and can suggest some resources if you really do want to try again)! Might have mentioned this stuff in the other thread, maybe not, but anyhow thanks for making these available. The hjkl keys are a cool idea, but just wondering how long you've been using vim? I can't think of the last time I've actually used arrow key navigation.. there's much more efficient ways to navigate. Now I understand that it's just for the novelty / aesthetics of it, I mean I doubt the majority of the people on this board (let alone vim users) even need legends on their keyboards. What would be really cool is something for my leader key..
A few weeks back Melissa posted the 1u r3 SA vim cap, wondering if you had plans to get the same in DSA? or in other rows? DSA key caps are available, check the pictures at the OP. Hmm, don't see any 1u vim caps other than the hjkl ones..
Have you tried vimtutor? It's a great way to learn vim. Thank you for the tip and yeah there is no 1u vim key DSA on sale here, there was a GB for them some months ago, you may try the classifieds to see if someone wants to part with one. I've been using Vim for nine, almost ten years, so you guessed correctly that this is purely for style/aesthetics. That's also why I added the caps replacement, because I most associate that key mentally with Vim. The idea of a 1u to replace your leader key is a good idea too (if I understand you correctly). I used to use , as my leader, and I think that would look cool if I still did (I now use Space, and I don't think I would like that as much). If I make selling these work, I will get creative stocking up for a round two. I think adding DSA 1u Vim keys would be a no-brainer. SA would require some deliberation, however, since a Row 1 1u (SP is selling Row 3, but it seems to me most sets are fully-sculpted now) would be be a good Escape replacement, but choosing rows for leader replacements would be tougher to stock because of personal preference (Row 1, 3, and 4, probably, but in what quantity?). Thank you for looking and for getting my wheels turning. I think having a 1u vim key in rows 1, 3, and 4 would be great. I'm not sure what a leader key replacement icon might be, but actually I was thinking of using one of those hash bang keys from round 5..
Neat, I'm in. I've been using Vim for a few years but with only enough knowledge of it to get by; perhaps this will motivate me to keep learning it! Thanks for making this available. I would love it if one of my international buyers would confirm receipt of their package, so I know I did everything right (tariff codes, declarations, etc.) . A post, PM, email, or whatever would be appreciated and would stop me from worrying. Thank you! I assume you mean OEM profile when you stay standard? I'd definitely like to add them to the store at some point. I still have a bunch of these in stock, but I'm not sure I'll re-stock. I don't even use VIM but these caps look great and is a cool project. Also potatowire is super friendly! Got mine today, think they look really good on my planck, will furnish you with a picture when I get my phone. I'm glad you like them, and I can't wait to see the pics! Any chance they'll be ever produced in Cherry or DCS profile? I'd like to own a set. That looks awesome! I think the green goes great with Dolch. I'm going to work on that next. I'll let you know when there's any news. Much obliged. Those caps look cool. You are very correct. Dolch is awesome. Thank you for your order! I am sorry for the long wait you've had, and I included a discount code for any future order you might want to place. I have often considered adding DCS or OEM profile to the store, but I am not really making the economics work out as it is (I often don't make enough to cover the Shopify monthly fees). I'll send you an email if this ever changes. No worries I am still waiting for granite to ship from MD but I have them stuck to my fridge so I can see them everyday. They look amazing!! I'll keep my fingers crossed on dcs/oem. 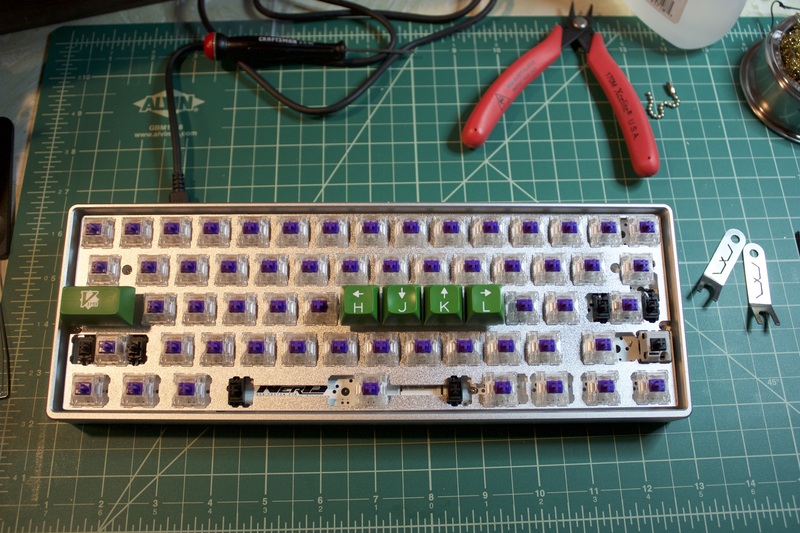 I was also curious if you had any of the 1u dsa (or sa) vim logo caps? I've seen pictures of them floating around but didn't see them for sale. Instead of (to quote from the project's page) "memorialize this project", would it be possible to revive it? 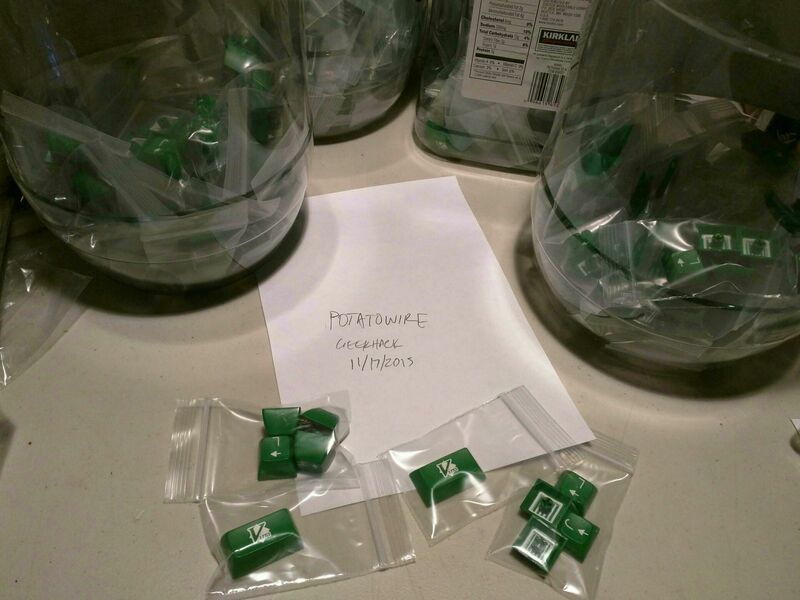 Hi, people seem to be wanting to buy these keys (check out mechmarket at reddit) - are you interested in re-supplying your store, or making a groupbuy, or anything? Perhaps aiming for all 3 profiles (SA, DSA, Cherry/DCS), and/or adding another 1-2 "programmers" keys (e.g. an Emacs logo key, a >_ terminal key, stuff like that). If not, would it be ok if I'd ask for the same keycaps at Signature Plastics, in order either to organize something, or to see if they intend to make those keys available directly at their store? I think I can do another buy. Let me gather for info and I'll report back. I never was able to find a way to make them in Cherry profile, but I can do DCS. I never was able to find a way to make them in Cherry profile, but I can do DCS. DCS should be close enough to Cherry on row 3, as far as I know But, it's true that Cherry profile is a task for GMK, as in your last link. 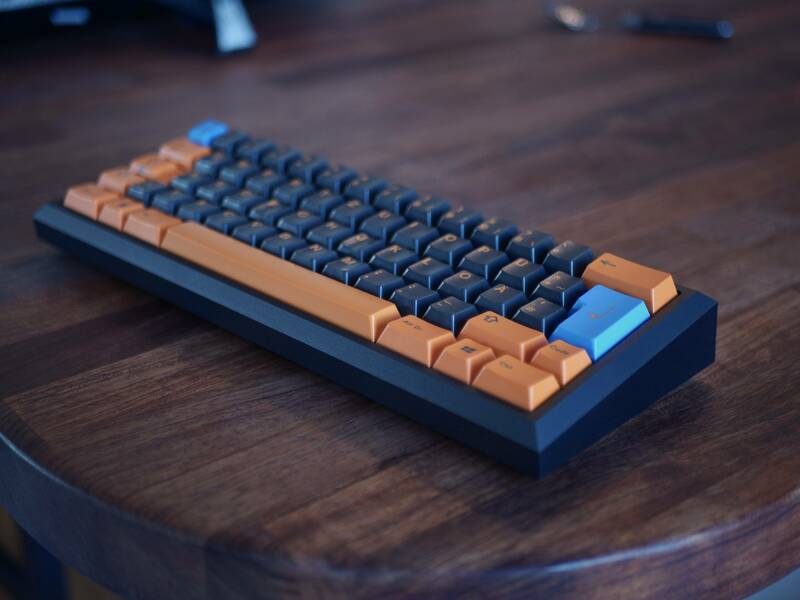 Personally, I'm interested in the SA profile, with some tentative looks at the DSA profile (because I didn't buy a DSA set, thinking I won't like it, but - one has to try first ) I think SA got some momentum, and there are a number of queued SA-profile keysets in the making at Signature Plastics. Haha, ironically, I just e-mailed you about this. Hope to hear some good news soon (even if the queue is super long). Sorry for the delay. I am going to do a limited SA buy (maybe DCS if there is enough interest), but I am still finalizing the details. Planning on all one set (likely the HJKL, caps-replacement, and R1-1u keys), a tiered pricing structure, with early purchasers getting a lower price, and 200 orders max. I will send out final details on my mailing list (sign ups at vimcaps.com). Excellent, that's not just any news, that's the best news! I am totally in for three sets! Is there any hope for a second DSA run as well? What would be the MOQ's needed for that to happen?